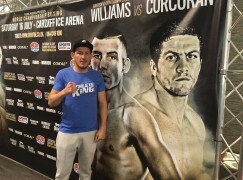 Cardiff’s Craig Kennedy (12-0, 6KO) has claimed his domestic counterparts in the cruiserweight division can “only run for so long” as he’s had to look overseas for his next test. 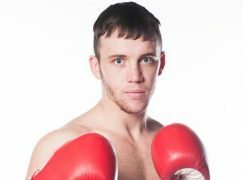 The 30-year-old will face Tanzanian banger Benki Mwakalebela (13-1, 10KO) in a 10 round contest at the Newport Centre on Friday 30 October after several British boxers rejected the opportunity. The list of contenders who Sanigar Events unsuccessfully approached include former British champion Jon-Lewis Dickinson (16-4, 5KO), Celtic belt holder Stephen Simmonds (12-1, 5KO), former Commonwealth titlist Tony Conquest (15-2, 5KO) and Liverpool’s Wayne Adeniyi (11-0, 2KO). Kennedy said: “The bottom line of it is, they can only run for so long. If it’s not this fight, by the next time it comes around they’ll have to take the fight. “I was disappointed not to get one of them. It’s always nice to have an all-British affair. At the same time, they’ve replaced them with a big puncher from Africa, he’s had 13 wins and he’s no stranger to coming to win. I look forward to it. The prospect often travels in training camps and in two weeks, he will continue the trend by travelling to Russia to spar with knockout machine Dmitry Kudryashov (18-0, 18KO) for two weeks. Kudryashov, an ice cold world-class operator, is ranked fourth by the WBA and has won every one of his professional fights by stoppage, preceded by 136 wins in 149 amateur outings. Excited by the opportunity to prepare alongside one of the division’s best, Kennedy said: “In two weeks time, I’m going out to Russia for two weeks. I’m going to be doing some sparring with the guy who is ranked in the top 10 in the world, which will be an amazing experience. 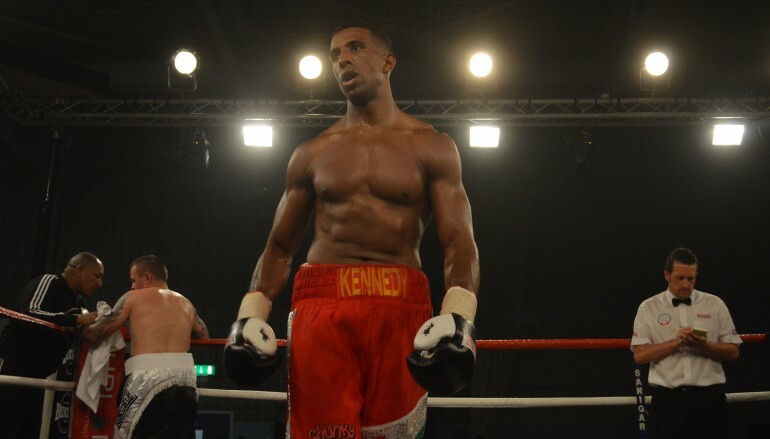 Kennedy, who is coming off back-to-back career best wins over Prizefighter champion Wadi Camacho and ex-Olympian Courtney Fry, admits to knowing a lot less about his next opponent. Mwakalebela has fought all of his 14 fights in his home country, none of which are available to watch online, and internet encyclopedia BoxRec knows neither his previous weights or height. Kennedy said: “No, I don’t know the first thing about him. 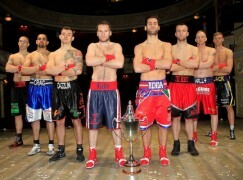 I leave it to my team, they just tell me who I’m fighting and I put the work in, train for the best fighter to turn up. All I know is his record, so whatever way you go about it, he’s a big puncher. “Even though he hasn’t fought out of Africa, those African guys are solid natural fighters. We know he’s a good fighter but I don’t think he’s fought anyone with my skill or talent. It’ll show on the night. Former Olympian Andrew Selby is a surprise addition to the show and the flyweight will also face a Tanzanian opponent, WBO Oriental title challenger Haji Juma (15-7-5, 7KO) in a six round fight. 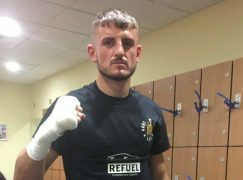 Prior to the ‘Past Present Future’ show, the 26-year-old Welshman is very likely to make his professional debut on a Premier Boxing Champions [PBC] show in Boston, USA on 10 October. The other confirmed fights on the show include the returning former Commonwealth champion Jamie Arthur (18-6, 4KO) against Gloucester journeyman Andy Harris (3-28-1) in a six round super-featherweight contest. Commonwealth Games light-heavyweight bronze medalists Nathan Thorley (2-0, 1KO) and Jermaine Asare (2-0) face Dan Foster (0-1) and Iain Jackson (5-29-2, 2KO), respectively. In an interesting heavyweight clash, Mountain Ash’s Dorian Darch (9-4, 1KO) will lock horns with London’s disgraced Larne Olubamiwo (11-15, 9KO). The visitor, who was once a touted prospect, was caught using 13 banned substances by drug testers in 2012 and has lost 12 of 13 outings since returning from his ban. In the welterweight division, Pontypridd’s prospect Kyle Jones (3-0) has Cardiff’s tasty Ameen Alkailany (0-3) and Bridgend’s Richie Canning (2-0) tackles experienced operator Ibrar Riyaz (4-87-3, 2KO) in four rounders. 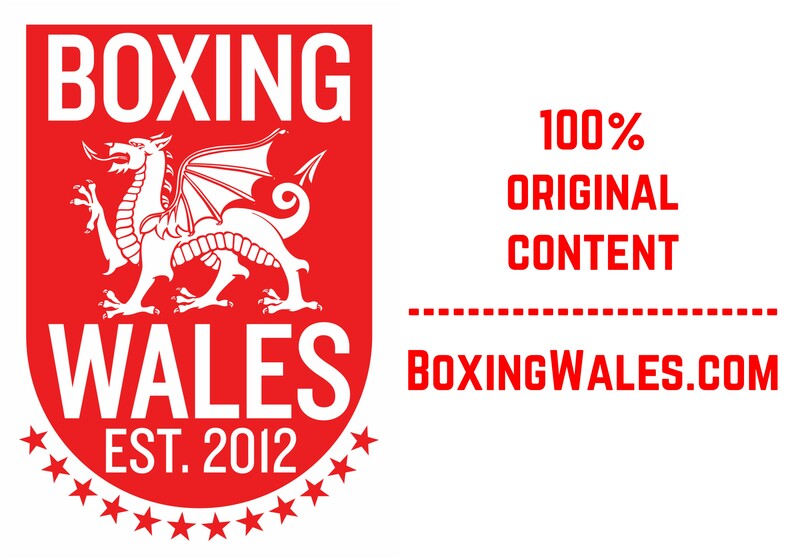 Cefn Fforest’s super-bantamweight Robbie Turley (15-5, 3KO), Nantymoel’s cruiserweight Danni Griffiths (6-1) and Ebbw Vale’s bantamweight Ashley Brace still have no named opponents.